We are pleased to announced that vinyl for all pending vinyl pre-orders for the latest releases from Adzalaan, Dagger Lust, and Serum Dreg are now shipping. All orders should be out by next week. 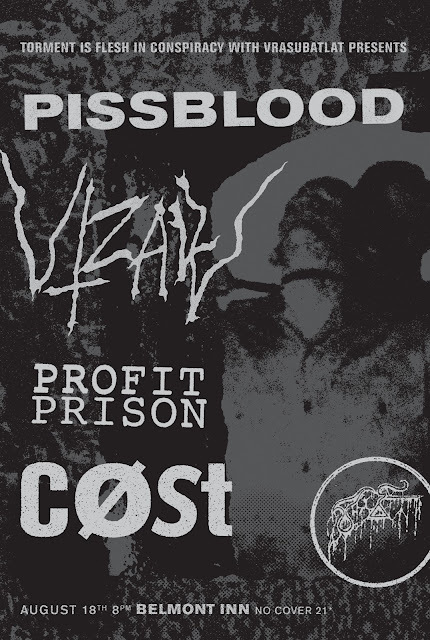 Additionally, Pissblood and Utzalu will be performing at the Belmont Inn in Southeast Portland, OR on August 18 to support the release of their new LPs. Local support from Cost and Profit Prison.